Hillary Clinton ran for the US presidency against a man arguing that building a wall was the solution to so-called ‘migration problems’ in the USA. Having no clear alternative vision of her own, she lost ground even among voters with migration backgrounds. Strange then, that her recent interjection into European politics is to recommend wall-building over here. Wall-building – whether physical or symbolic – is not only a misapplied remedy to a mis-identified problem, but it can exacerbate the very problems it claims to eliminate. Drawing on what we know of gated communities, it is clear that building walls around Europe will only add to its troubles. 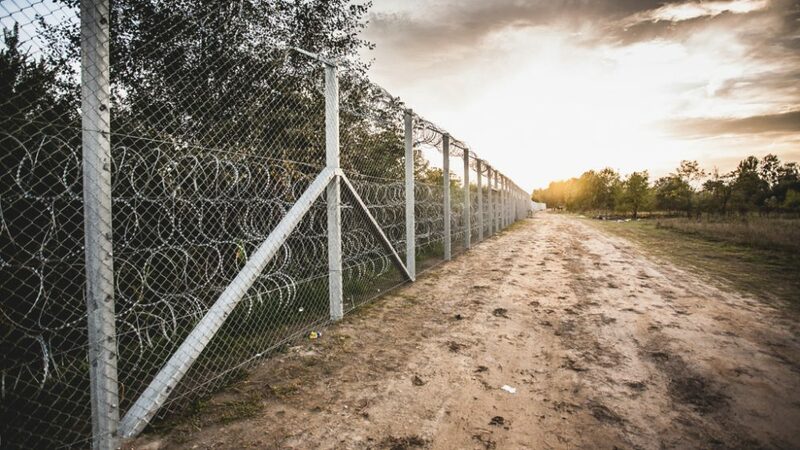 And it is worth pointing out that there are already walls being built within Europe – see for example the Hungarian wall at the border with Serbia and Romania. Clinton has argued that in order to stem the spread of populism, Europe needs to get a handle on immigration and stop migrants from crossing borders into Europe. She links a rise in right-wing populism to fears around immigration and proposes drastically curbing immigration in order to assuage those fears and the appetite for populism which emerges from them. I agree with her on only one point: that right-wing populism is dangerous for Europe and that fear around immigration is linked to its rise. The rest is woefully misguided. Her anti-immigration solution will only contribute to the rise in populism; the very thing she wants to eliminate. Her first mistake is to conflate the problem of fear of immigration with immigration itself. In doing so, she has misdiagnosed the disease and proscribed the wrong medicine. Fear of immigration manifests as ideas that migrants will erase economic, social and cultural capital for native Europeans. However, by any objective standards, migration does not precipitate the erosion of any of these things. Declining job opportunities and welfare budgets have not been caused by increased immigration but by policies of austerity and poor economic redistribution. Despite incendiary tabloid headlines, migrants are statistically less likely to commit crimes than natives. The influx of migrant cultures does not erase native cultures but rather hybridises with them to produce new cultural forms. In any case, there is no such thing as a pure native culture which pre-exists influences of immigrants. Fear of immigration is therefore a false fear – a phobia – much like my own tendency to scream at spiders. And these are ideas caused by right-wing populism, rather than the other way around. We know from research on gated communities that building walls in order to protect communities from either real or imagined threats has deleterious social effects both inside and outside the walls. Importantly for our parallel with a walled Europe, gated communities create a form of citizenship which is founded in an imagined fear of the excluded other. Building physical or symbolic walls through curbing immigration in order to address the European phobia of immigration could actually make fears of immigrants worse and, in doing so, fuel the fire of right-wing populism. Gated communities exist all over the world, but especially in urban contexts of high inequality where a rich minority wants to protect itself from threats associated with the poor majority. Usually it is the threat of crime that incentivises gating, but it can also derive from the need to preserve a particular lifestyle or culture. They are known as the enclaves of the rich or the ghettos of the affluent and, in most cases, there is also a racial dimension to who lives inside and outside the gates. Much like the kind of Europe Clinton has recommended, gated communities offer their residents an opportunity to eliminate unwanted encounters with ‘others’: whether they are criminals, those of a lower socio-economic class, or those with different lifestyles. Life inside the gates promises protection from a litany of social ills which – while being structural in nature – are embodied in the excluded. After decades of research, gated communities have been found to contribute to social degradation both inside and outside the gates. Outside of gated communities, social fragmentation proliferates and this is not even off-set by increased social cohesion inside the gates. Neighbourhood disputes are just as likely inside gated communities as they are outside. In fact, within gated communities, residents often report feeling controlled by the expectations that they will adhere to a particular ‘inside’ culture and are made to feel like they don’t belong if they don’t fit in with it. Imagine what it would be like if Europe became gated; people with ethic minority backgrounds could end up being viewed as the outsiders who sneaked in before the gates closed. Particularly important for our parallels with Europe, constructions of gated communities have not conclusively resulted in either a reduction in real crime rates, or even a reduction in the fear of crime. Some studies even report increases in crime rates and increases in anxiety among residents. Ultimately, gated communities escalate, rather than diminish, fear of the other. Within gated communities, a form of citizenship emerges which based on spatial exclusivity in which no social contract exists between those inside and those outside the walls – and in which those inside the walls are held to arbitrary and undemocratic cultural standards. They do not produce progressive rights-based political communities but instead generate elite enclaves comparable to medieval city states. You cannot imagine a more fertile ground for the rise of populism. Cathy studied for her PhD at the Global Development Institute, you can find out more about our PhD programmes, potential supervisors and scholarship opportunities on our website.